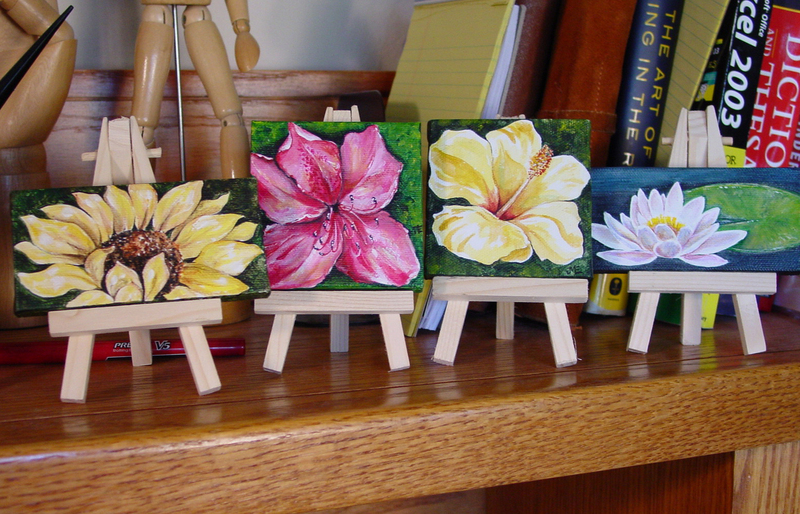 Mini canvases…only 3×3, and 2×4. I’ve got a bunch waiting to be painted. Any ideas? Next Postitty bitty frog painting. Only 3×3.